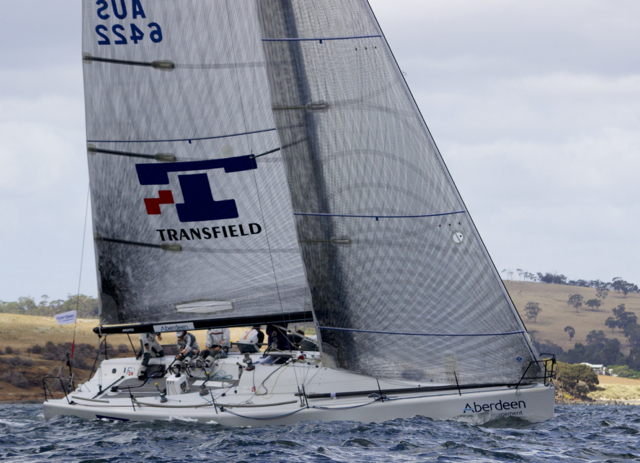 Guido Belgiorno-Nettis’ Transfusion team has pulled off a trifecta of Australian titles and claimed a record five National Championships: John Calvert-Jones Trophy crowns since the series’ inception in 2000. 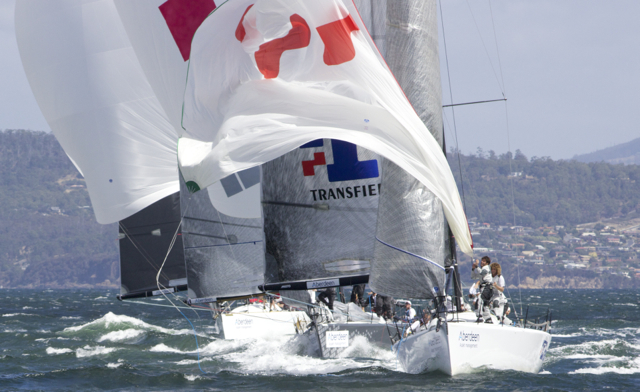 An OCS in the penultimate race 11 on a fickle Derwent River in Hobart wasn’t enough to slow the New South Welshmen’s march. They played the Joker card, took the right hand side of the course and won. 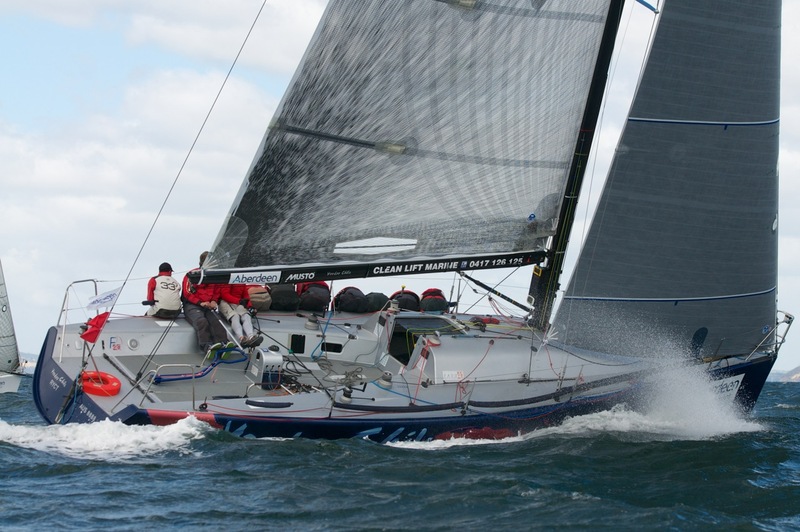 The title was in the bag but still they pushed on, finishing second in the final race 12, another three-lapper in the sou’wester averaging in the high teens with bursts over 25 knots and down as low as seven knots at times. 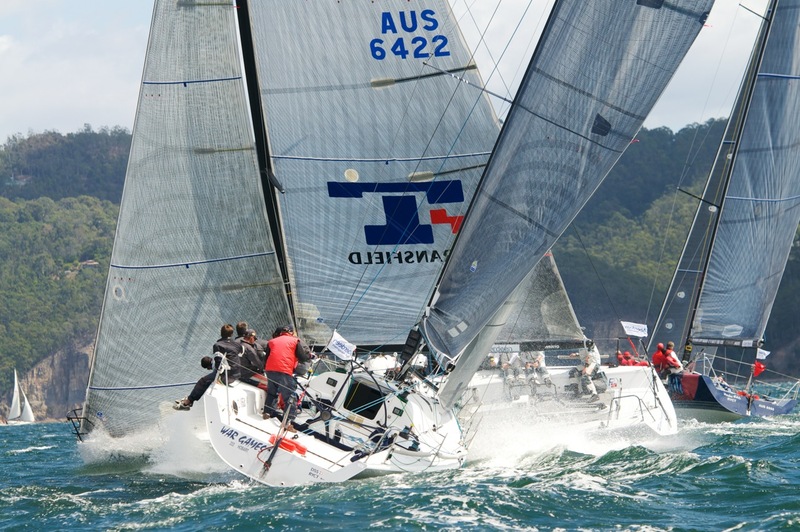 Lloyd Clark and Andrew Hunn’s Voodoo Chile (TAS) opened the Farr 40’s 2013/14 season in dominating form, claiming the Queensland state title last October and the One Design Trophy in December.Transfusion owned the NSW state title and Martin and Lisa Hill’s Estate Master (NSW) took out the Tasmanian state title earlier this week. All three professional campaigns were worthy of nabbing the major trophy. Transfusion proved the most worthy and effectively road blocked the other two with consistency at the highest level. 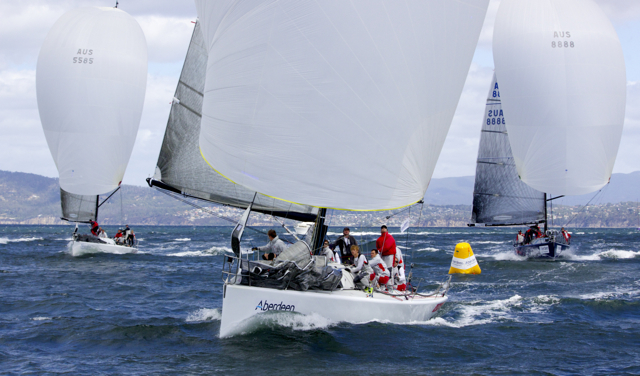 A third was their worst result over 12 races in the no discard national series that wrapped up today. Voodoo Chile slipped into second overall by eight points thanks to today’s fourth then a bullet. The Hills moved into third, a seventh and a fifth taking them out of silver medal contention. 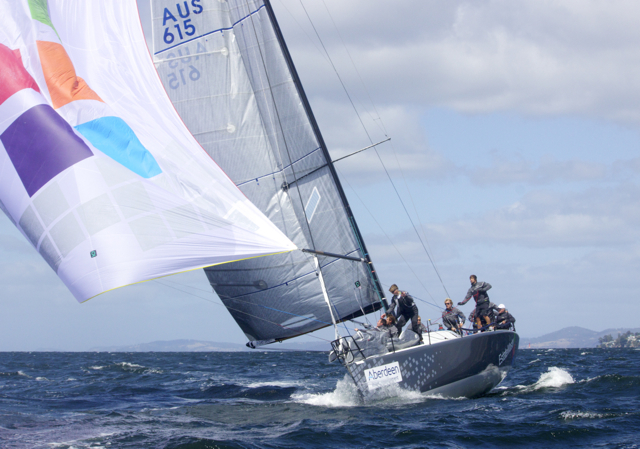 Belgiorno-Nettis, the Australian Farr 40 class president, gathered a remarkable crew for the Aussie summer and the class’ world championship later this year. Pre-season the crew worked on the mechanics of getting manoeuvres right in different modes, and put time into sail trim. 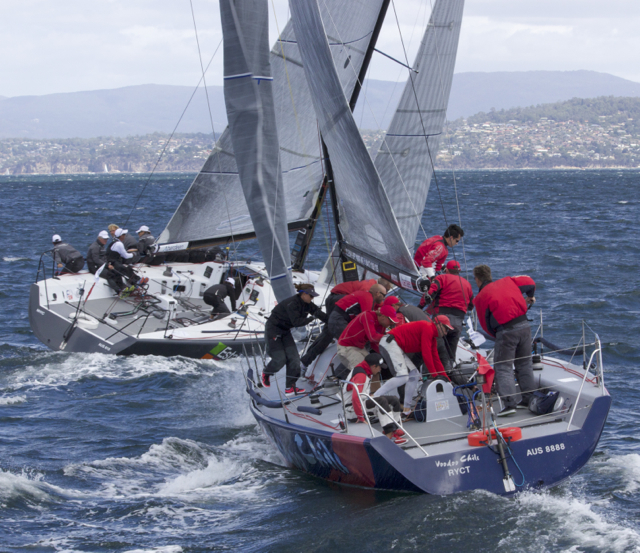 Reuniting with tactician Tom Slingsby brought the next level of skill. 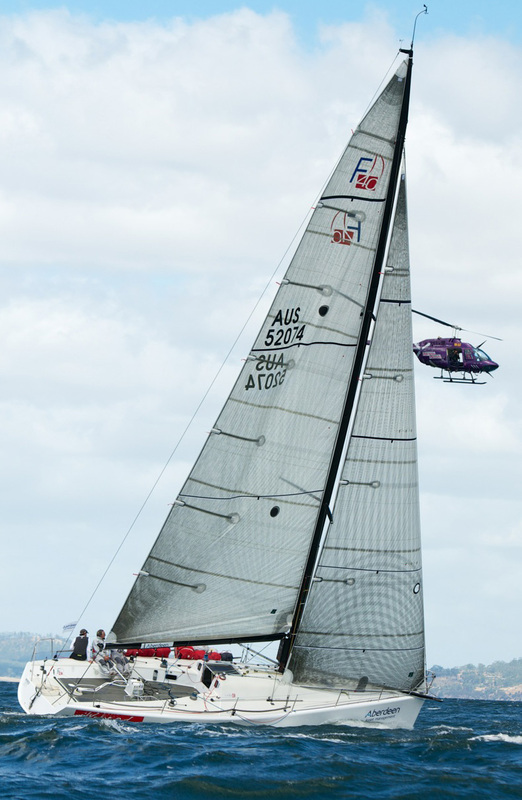 First Corinthian boat, which means a cap of two professional sailors versus four, was Stephen Boyes’ Wired from the host Royal Yacht Club of Tasmania. “The deserved winner won without a doubt, they were just so consistent,” acknowledged Boyes. Olympic gold medallist Nathan Wilmot made a noticeable difference to Wired’s overall season performance. 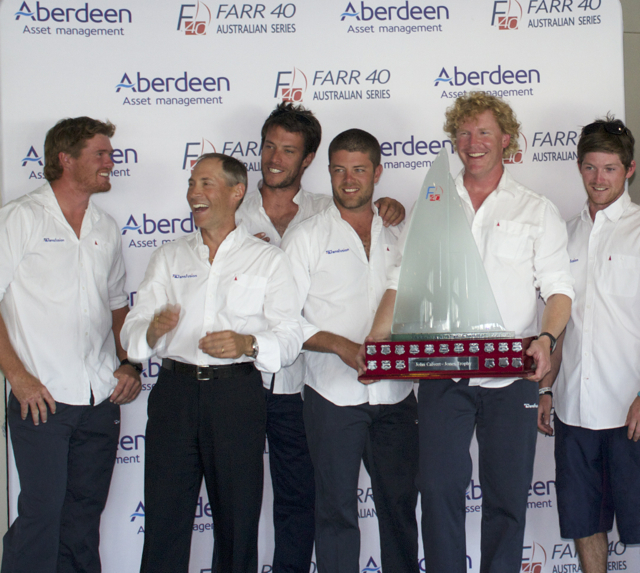 “It’s been different having Nathan sail with us, he’s been a real asset,” said the skipper this afternoon as the Farr 40s docked and crews packed up for this afternoon’s official trophy presentation at RYCT.